Protect your ability to fight for your rights, even during any delayed judgement with the help of our appeal bonds in Fort Bend County. An appeal bond is traditionally posted at the original judgement's bail, and can be secured by the agents at Speedy Gonzalez Bail Bonds. Continue to work on the efforts to prove your innocence, even if the initial court decision does not resolve in your favor. The American system of justice gives you the right to appeal any judgement, and you also have the right to request bond in this circumstance. We provide a vital service to everyone involved in this process, as this approach to bonding reduces the instance of needless and frivolous appeals. Start a conversation about the terms of an appeal bond as early as possible, so you are prepared for any outcome. Our appeal bail bonds are a wise investment when it comes to protecting your rights, and the livelihood of anyone who depends on you. Plan ahead, and be prepared for the unlikely prospect of a judgement going against you. Everyone in our system of justice is innocent until proven guilty. But countless mistakes can happen, and you deserve an appeal of any judgement. Starting the process of securing any appeal bond is a smart choice when you consider the costs involved with accrued interest. Give yourself the option for appeal in state and federal cases by choosing our team for an appeal bond. These bonds are required before making any appeal in state and federal courts, so now is the time to secure this type of bond, so you don't have to face the prospect of returning to jail. Eliminate the stress and worry associated with considering an appeal of your case and reduce the additional costs that come with appeal bail bonds. 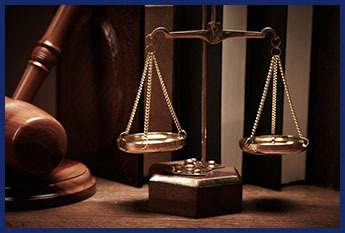 Fighting to prove your innocence during any court proceeding can be difficult enough as it is. Consider how much more difficult it may be when you are sitting in a jail cell. Prepare for any eventuality by working with our bonding team on your next appeal bond. You need to prove to the courts that your appeal is grounded in a serious belief in your innocence. The system is designed to discourage pointless appeals that are only intended to delay the inevitable. When cash bonds are required for any charges you face, our team is ready to help in any way we can. Contact us today and work with a representative that speaks Spanish when you need appeal bonds. We proudly serve clients in Fort Bend County, Sugar Land, Richmond, Katy, Fulshear, Rosenberg, and Missouri City, Texas, and surrounding communities.